Most of us know about how to take care of a bunch of flowers to enjoy them for at least a week. But what to do with flower arrangements to make them last? Unlike bouquets you can`t just put flower arrangements into a vase filled with water. With flower arrangements, the individual flowers are arranged in what is known as floral foam. The use of floral foam enables florists to bring flowers in artful and original shapes. But even then the flowers need plenty of water. Read here what you should consider when it comes to arrangement care. special shapes and create table arrangements, wreaths and flower baskets. Do I need to water flower arrangements? 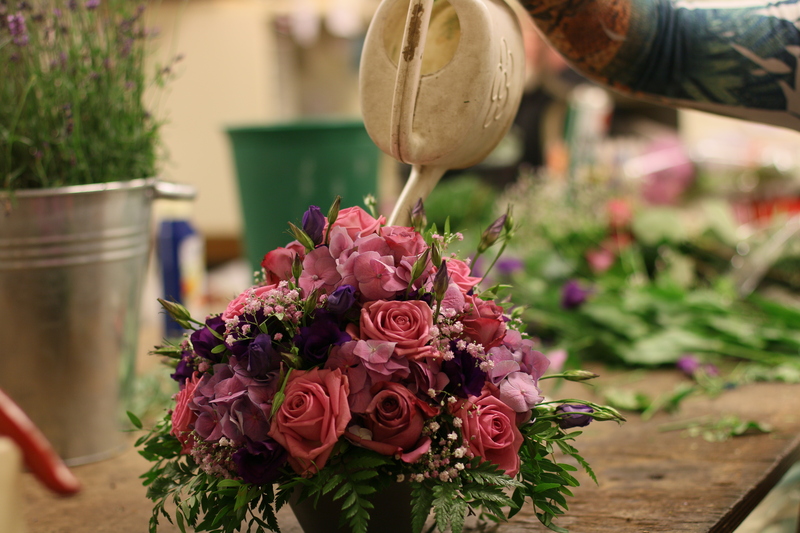 Florists prepare the basis of flower arrangements carefully, so that the flowers get enough water and nutrients. For this, florists use a large container and fill it with water as well as with special flower food. 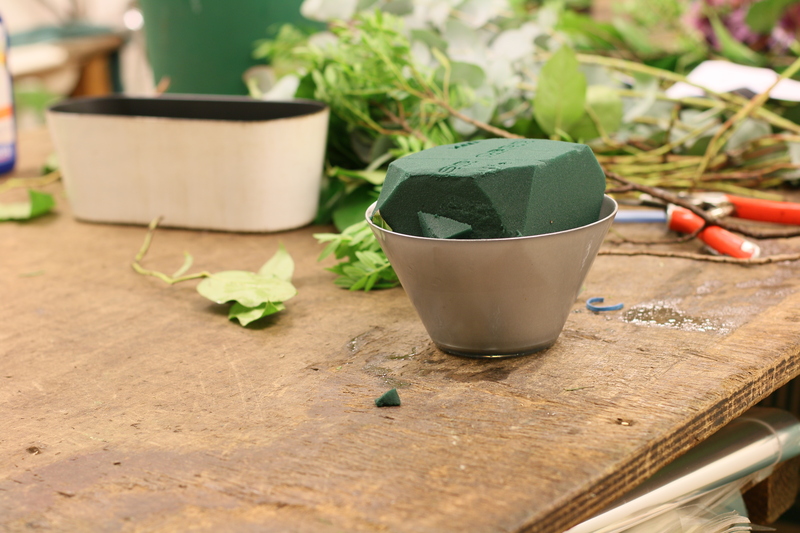 The floral foam is then and placed inside the container to absorb the liquid. After receiving a floral arrangement from someone, all you need to do is to water it a little bit every other day. Best is to use a watering can with a long, narrow neck. Slowly pour some water in the middle from the top of the arrangement - this is all you need to know about arrangement care. Want to surprise somebody with a flower arrangement. See here our most popular flower arrangements and order them online.